Review: Rising star Al Zanders (real name Alex Buchan) returns to action, with regular vocalist Sheyi getting a shared credit for the very first time. 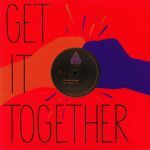 Her contribution to A-side "Get It Together" is particularly strong, with her distinctive vocals perfectly complimenting Zanders' ear-catching combo of jazzy broken beat grooves, Maurice Fulton style electronics and cosmic soul synths. 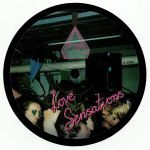 The bruk-up synth-soul vibes continue on near Balearic B-side opener "Satisfy", before Zanders abandons all caution with the ten-ton sub-bass, crunchy drum machines and sweaty broken beat rhythms of late night delight "GIT (Dub)", a notably heavier instrumental revision of the A-side opener.